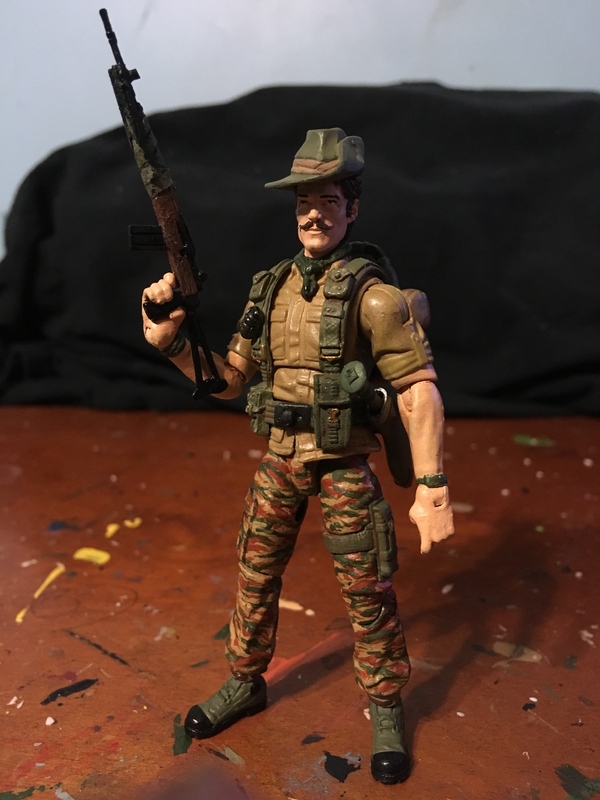 Recondo always one of my favorites. 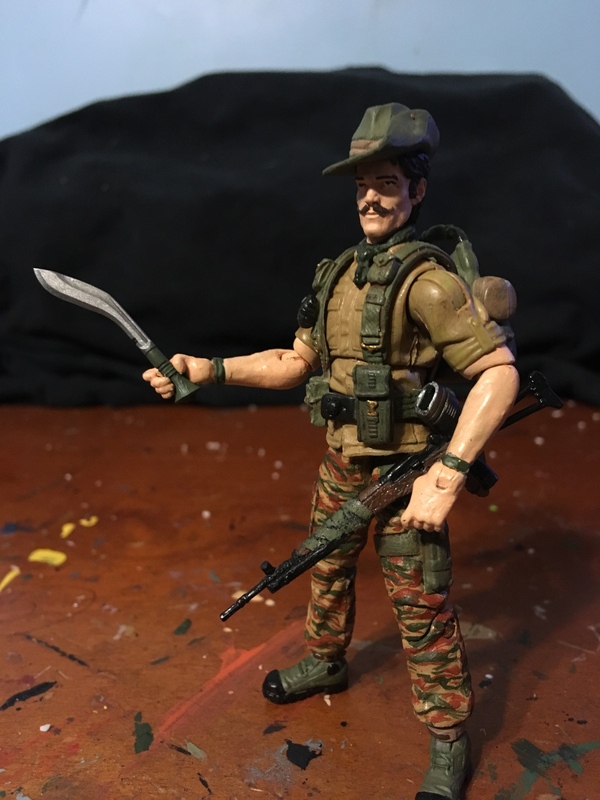 This one came together really smoothly, parts-wise.I should have put more wrapping on his rifle, but my inner gun nerd couldn’t have it jamming in the op rod or action. I think it looks awesome. I always thought he was a cool character. That is great! 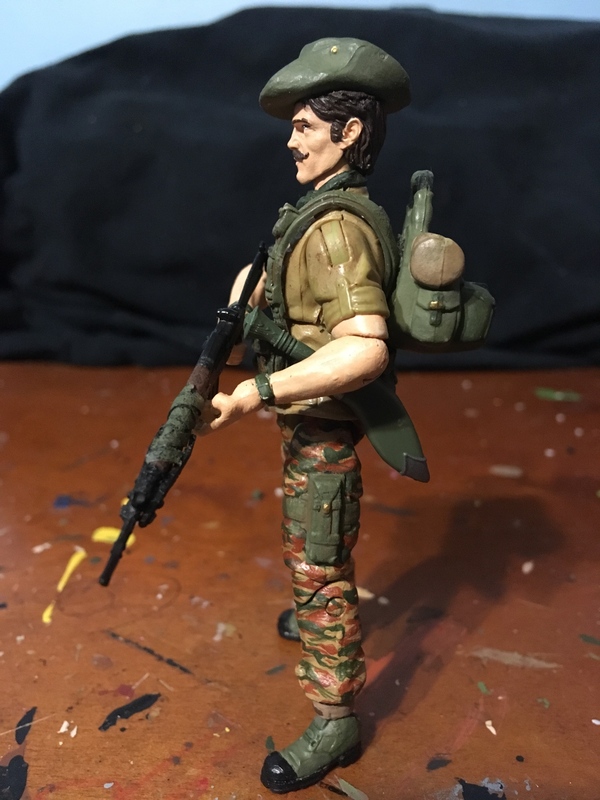 I'm a particular fan of the rifle, though the figure is money all the way. 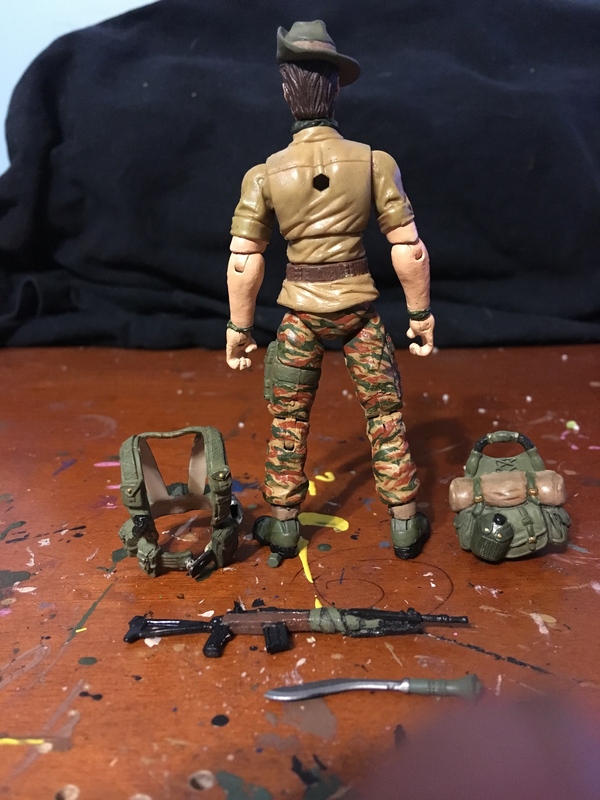 The camo in particular looks like it was a lot of work, but paid off. Damn that is cool. 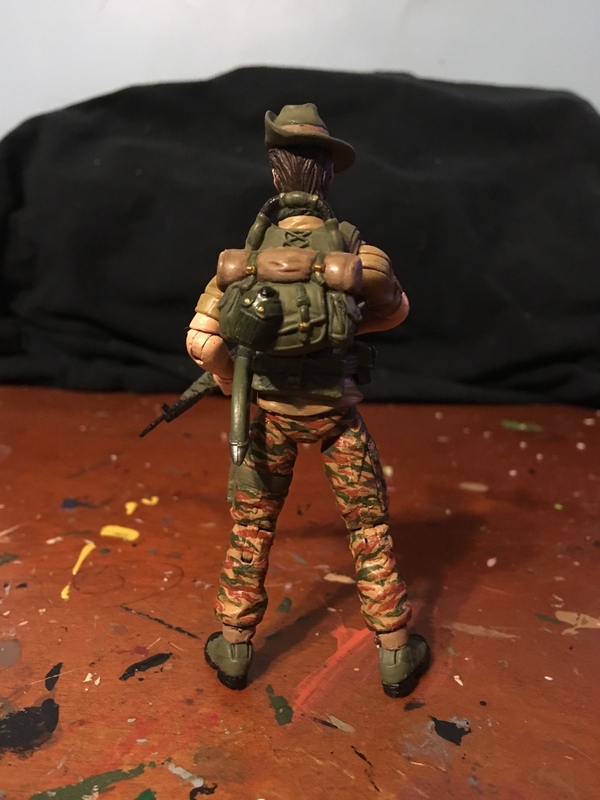 Excellent work on the camo it looks great. That's just epic. 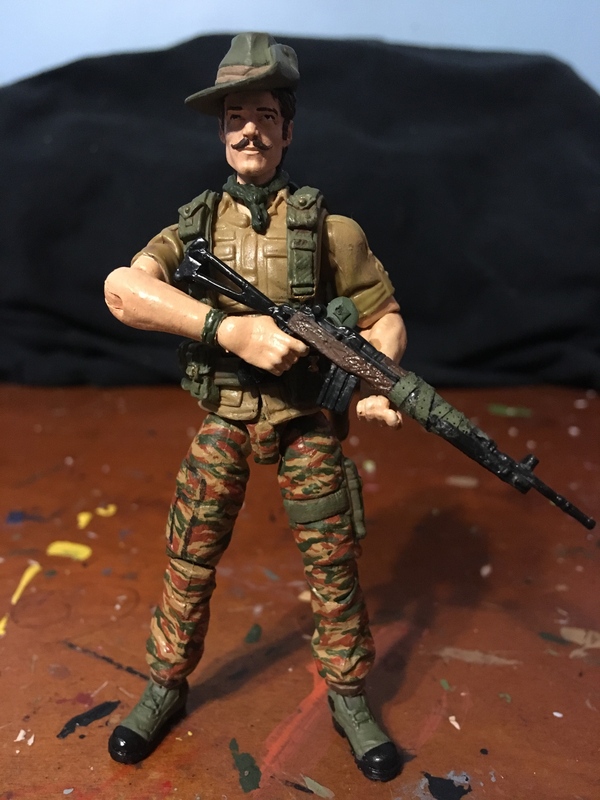 Recondo looks factory made and that rifle is just ingenious. 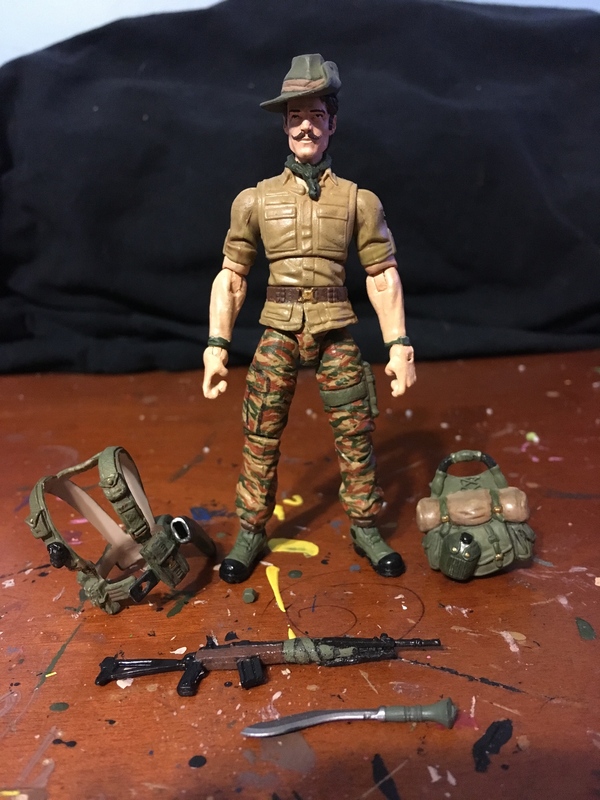 Great looking Recondo! Probably one of the best builds and paint jobs I’ve seen. 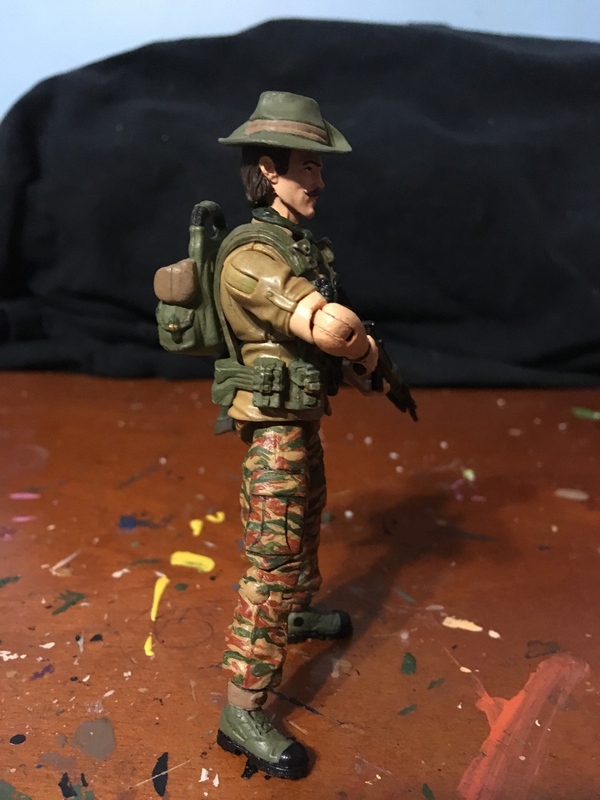 I have a Marauder custom version I’ve been working on with the same head but couldn’t find the right hat. How did you have to dremel the 25th hat at all to get it to fit? Thanks! I actually trimmed quite a bit from the head to get the hat to fit. I’m going to get second head next time I do a Ragin Spoon order and just head swap for the hatless look. I’ll post pics of what I did to the head when I get home from work. 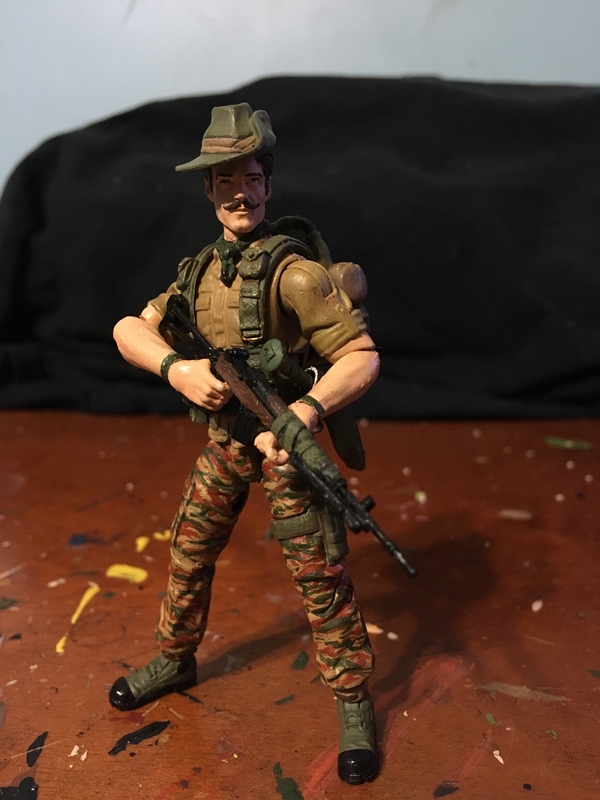 That’s a dope figure. That knife was a good parts choice as well. 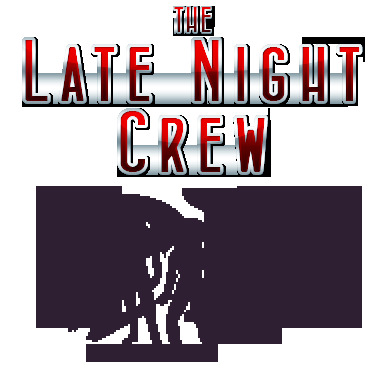 Awesome job on the paint apps! 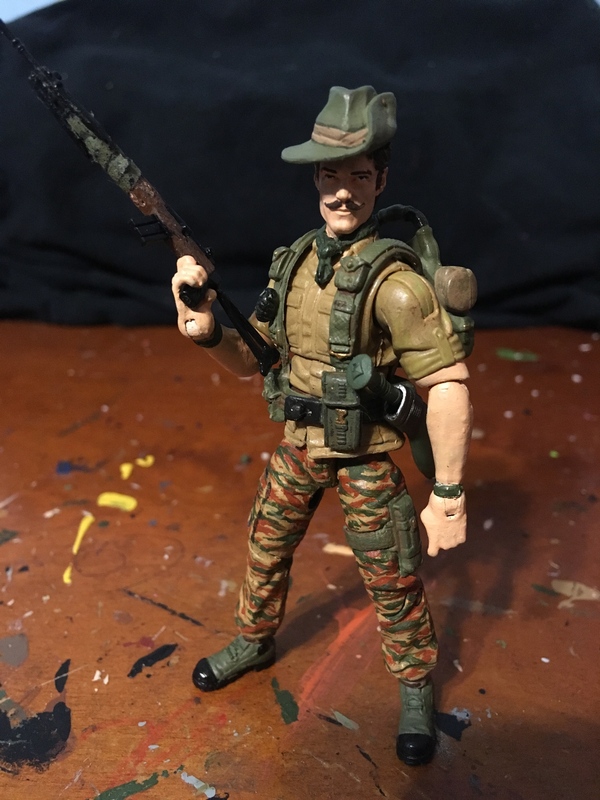 Great custom!